Veteran's Day Free Meals-- for veterans! 2014 Free Meals - Updated Daily! On Tuesday, November 11th, from open to close, veterans and active duty military can choose from a free signature Thank You Meal menu that includes some of Applebee's favorite items, including a 7 oz. House Sirloin, The American Standard All-In Burger, Three-Cheese Chicken Penne, Fiesta Lime Chicken, Double Crunch Shrimp, Chicken Tenders Platter or Oriental Chicken Salad. Must present valid Veteran's form of identification or be in uniform. Veterans and active military personnel will receive free all-you-can-eat hotcakes at its restaurants. All these honored servicemen and women need do is show a valid military ID. All U.S. Armed Forces veterans and active-duty military get 20 free tokens upon a visit to Chuck E. Cheese's from Sunday, November 9, through Saturday, November 15. Military ID or proof of service is required, but no coupon is needed. Veterans receive a complimentary Double Chocolate Fudge Coca-Colaï¿½ Cake dessert to veterans and an opportunity for guests to make purchases that support the United Service Organizations (USO). Veterans Day only. All active, inactive and retired military personnel,at all participating Denny's restaurants nationwide, diners with a valid military ID will receive free build your Grand Slam on 11.11.14 from 5 am to noon. On November 11th, former and active military are invited to come in and receive a free One Meat Salute on us. Choose from one meat, a corn muffin, and a side. Participating locations only. From 11:00 am to 4:30 pm. Proof of service required. Dine In only. Friendly's is treating veterans and active military, with a valid military ID or honorable discharge card, to a free breakfast, lunch or dinner on Veteran's Day, Tuesday, November 11, 2014. The breakfast choice is their Big-Two-Do'sï¿½ array of breakfast options and for lunch or dinner it's the All American Burger with fries and a beverage (soda, iced tea or hot beverage). Glory Days invites all veterans on 11/11/14 to join Glory Days and receive a free appetizer or wings with proper ID. On Veteran's Day, November 11, participating IHOP Restaurants around the nation will be honoring the brave men and women who have served, or are serving, in the United States Military by offering them free Red, White and Blue pancakes from 7 a.m. to 7 p.m. At some locations, the Red, White and Blue pancakes will be featured as part of a free combo plate including eggs, bacon and hashed browns. On Veterans Day, Tuesday, November 11th, 2014 all Veterans and military personnel with a military ID or dressed in uniform will receive a free six ounce frozen yogurt any time of day. Show a valid ID or be in uniform to receive. Veterans and active duty get a complimentary breakfast on Veterans Day. Choose between Buttermilk Pancakes, three slices of French Toast or a Belgian Waffle. >From open to close Monday, November 10th and Tuesday, November 11th every Bar Louie location across the country will offer veterans and military personnel a free meal up to a $12 value when they show valid military I.D. or other proof of service. All Active Duty Military and Veterans receive a complimentary Lunch Entree under $9.95. Simply present proof of service. on Veterans Day, all veterans, active and retired military personnel will receive a free appetizer. All Veterans & Active Military Will Enjoy 50% Off For Two & 25% Off For Parties of Three or More. Monday, November 17th - All former and current military service men and women enjoy a free buffet. Contact your local Bonanza for more details. Visit Bugaboo on Nov 10th - 11th and veterans and military personnel receive a $10 gift card with valid military ID. This Veterans Day, Veterans and active military service members receive a free entrï¿½e and 25% off to their accompanied family and friends. Includes California Dreaming, New York Prime, Chophouse '47, The Tavern at Phipps, Carolina Roadhouse, Joey D's Oak Room, Burro Loco, Gulfstream Cafe, Chophouse New Orleans. Veterans and active-duty receive a free handcrafted cheeseburger on Veterans day, 11/11/14. Must provide proof of service. Participating locations only, check to confirm. Veterans and active-duty military eat free (up to $20) on Veterans Day. Valid ID required or in uniform or photo in uniform. On Tuesday, November 11 get a complimentary All-American Burger with fries to veterans, active and retired military personnel. Dine in only and must purchase a beverage and present proof of service. One free half pound sandwich platter will be given to each veteran for either dine-in or carryout orders on Veterans Day. All locations are participating. On Monday, November 10, all Claim Jumper locations will provide those who served a complimentary lunch or dinner from a special menu. Menu options include baked pot pies, Tilapia Bianca, Roasted Tri Tip Dinner, Roasted Tri Tip Shrimp, Grilled Chicken, Grilled Salmon, Black Tie Pasta and Chicken Fried Steak. Verification of service is required. Free Chicken Fried Steak or Chicken for all active duty and veterans on 11/11/14. Active, reserve, and retired military personnel receive a free meal on Veteran's Day. Veterans receive a free appetizer or dessert with a $10 or more purchase on 11/11/14. Free entree for all veterans and active miltiary on Veterans Day. FATZ Cafe salutes our Veterans and Active Military with a free entrï¿½e on Veterans Day. On Tuesday, Nov. 11, present your Military ID and enjoy a $12.99 entrï¿½e credit on FATZ. Veterans and active service members get a free medium 1 topping pizza on Nov. 11, 2014. Veteran's Day free meals available in their Boston, Providence, Cambridge and Anaheim locations only. Must provide proof of service or family member ID. No rain checks. Veterans and active military receive a free hot bar meal on November 11th. Veterans and Active Duty Military eat free on Veterans Day - Tuesday, November 11, 2014. On November 11, 2014, participating Handel's Homemade Ice Cream and Yogurt shops across the country are giving away free single-scoop ice cream cones to all veterans and military personnel with a valid military ID. Hooters invites all veterans and current servicemen and women to a free meal, up to $10.99 in value with any drink purchase, by presenting a military ID or proof of service at any Hooters location across the country. Offer valid 11/11/14. Tuesday, November 11th Veterans and active duty military personnel receive a complimentary meal and non-alcoholic beverage from a select menu on Veterans Day. Menu items include: Grilled Chicken, Caesar Salad, 10 Wings, Fish and Chips, Chicken Sandwich (Crispy/Grilled), Burger Sliders, Pulled Pork Quesadilla. Verification through ID or Uniform. Participating locations only. Many Ikea locations are offering a free meal for veterans November 9 - 11, 2014. Search for your local Ikea store, go to the store home page and select the Special Offers tab for details. Any service member with a military I.D. that visits one of Kangaroo Express' nearly 1,200 grill-ready stores between 12 a.m. and 11:59 p.m. on Tuesday, Nov. 11 is invited to purchase a grill item for just 25-cents (one per guest, while supplies last). Active and retired armed forces members this Veterans Day with a free sausage biscuit to any active or retired service member with military ID. Veterans & Active military enjoy a select free starter all day Veterans Day, Nov 11. Service members receive a complimentary Texas Tonion appetizer and non-alcohol beverage on Tuesday, Nov. 11. Includes veterans and current service members. On Veterans Day, participating Max & Erma's locations are celebrating veterans and active military personnel with a free three course combo. Enjoy a complimentary entree on Sunday, November 9th, 2014 (2 days before Veterans Day). All veterans must show official verification. Veterans Day entrees must be enjoyed at the restaurant. Veterans eat free on Veteran's Day. Free sandwich and cake while supplies last. Veterans and active duty military are invited in for a free individual pizza or had-tossed salad on Veterans Day. All veterans and all active-duty military personnel will have their choice of one of nine meals on the O'Charley's "$9.99er" menu. Options include O'Charley's Famous Chicken Tenders & Twisted Chips, Cowboy Sirloin, Homestyle Chicken Pot Pie and Santa Fe Tilapia, among others. This Veterans Day, all veterans and active duty military will receive, for free OTB's "Create Your Own Combo menu," on Tuesday, November 11, 2014. All veterans, retired and active-duty military personnel receive a free cup of froyo, up to 11 ounces, on Veteran's Day, Nov. 11. To claim the offer, customers should provide proof of military service, such as a military ID card, uniform photo, honors, badges, or come dressed in their military uniform. All active, retired military and veterans get a Free Bloomin' Onionï¿½ and a beverage on Veterans Day. Must have valid identification. 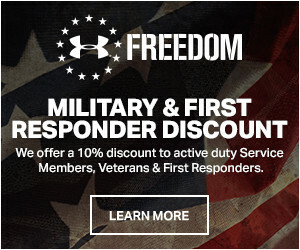 Plus, all military personnel get 15% off from November 12 thru December 31, 2014. Free tenders or sandwich for all veterans or active duty military with ID or in uniform. All Military Vets, come enjoy a free meal on Petro at participating full service restaurants on Nov. 11, 2014. Must show proof of service. Free buffet on Veterans Day at Pinnacle's properties including Ameristar, Belterra, Boomtown, L'Auberge, Retama and River City properties. On Veterans Day active duty, reserve and retired military receive a free individualized pizza. Must show valid ID. Free lunch special or a lunch buffet for veterans on November 11, 2014. Veterans and active service members get a free slice of pizza on Nov. 11, 2014 between 1 and 4 p.m.
Tuesday, November 11th, all active duty military and Veterans a free small cold sandwich of their choice on November 11th. Vets will need to provide proof of service to receive the offer. The offer is only available at participating locations, please contact your local restaurant for details. Veterans, Active Duty, Retirees and Reservists receive a free meal with the purchase of a second meal of equal or greater value. Proof of military service required. Dine-in only. Print and present the coupon before ordering. Offer valid on Monday, November 10, 2014; Tuesday, November 11, 2014 and Wednesday, November 12, 2014. This Veterans Day, all veterans and active-duty military eat free at participating locations. Veterans and active-duty members receive a free ultimate burger or pulled pork sandwich on November 11th, 2014. Dine in only, military or veteran ID required. On Veterans day get 11% off lunch or dinner with proof of service, food portion of check only, up to 4 guests. Includes Active Duty, Veterans, Retirees, Reservists, Dependents. On Veterans Day (Nov. 11), active duty, reservists and retired military may enjoy a free dine-in lunch at participating Ryan's locations, from open until 3:30 pm. Show your military ID or proof of service to enjoy the free meal. Vets get a free 63 turkey sub and regular fountain drink. Shoney's says 'Thank You' to America's heroes by offering a Shoney's All-American Burger and fries to all Veterans and Active Duty Military members on Tuesday, November 11th, 2014. Tuesday, Nov. 11, 2014, Veterans, active duty, retired members of the military get a free lunch. Guests with proof of military service will select a six-ounce six-ounce Tri Tip Steak, single Malibu Chicken or a half dozen Fried Shrimp entrï¿½e with a choice of coffee, iced tea or a fountain drink. Veterans and active duty get a free meal on Nov. 11, 2014. Must show proof of service. Spaghetti Warehouse is honoring veterans with a special "buy one entree, get one free" coupon offer and is encouraging its guests to "invite a veteran to lunch or dinner". Beginning Nov. 4th, the coupon will be available online on Spaghetti Warehouse's website. Get Veterans Day Special, free breakfast skillet and coffee from 6 AM - 11 AM on Nov. 11th. all veterans and active service members tomorrow with a 50% discount on 11-11-14. A free entrï¿½e on Veterans Day from a special menu for vets and active duty. TXLC will honor Veterans, both active and retired plus reserves with a free appetizer; Crispy Onion Strings, Spicy White Queso, Steakhouse Onion Rings, Avocado Smash or Big D Spinach Dip. Veterans and active duty military service members are invited to have lunch from a special menu on T.G.I Friday's this Veterans Day. Veterans and Active Duty military enjoy a free meal on Tuesday, November 11th. Veterans and active-duty military eat free on Veterans Day, 11.11.14. On Nov 11th, come into Tony Roma's and receive a complimentary draft beer (14 oz. draft beer per person). At participating locations only. With proof of Military Service or Veteran Status. On Veterans Day, all CDL drivers who are Military Veterans eat free at participating full-service restaurants with proof of service. Must present valid ID. Share a photo of your hero for a free salute. Get a free dessert by tagging Tucanos on Instagram with @Tucanosusa #VeteransDay and then upload your picture here. Service men and women eat free on 11/11/14. With a Military or Veteran ID, entrees are buy one get one free, and anyone who presents this ticket will donate 20% of your total check to Fisher House Veterans Association. All who have served get a complimentary breakfast on Veterans Day. Choose between Buttermilk Pancakes, three slices of French Toast or a Belgian Waffle. Both active and retired military personnel can get a free menu item, with no purchase necessary all day Tuesday, Nov. 11. When Vets buy an entree on Veterans Day they receive a gift certificate for a free entree on their next visit. Zoes is serving up a free entrï¿½e to those with a military ID and an additional 10% off for all family members on Tues. Nov. 11, 2014. Companies that haven't announced Veteran's day specials but have in the past include Mimi's cafe. We'll keep you posted! Review the official site information and rules before heading out. Many websites are listing previous years promotions that are no longer valid. We link to the official information. Be sure to bring proof of military service, uniform photo or be in uniform. Proof of military service varies by company. See the list of states now offering a Veterans designation on a driver's license. Pay attention to the dates on the Veterans Day offer as some offers are for days to other than Veterans Day or extended over several days. Many of the restaurant free meals are for dine in only. Many of these promotions include small print that says participating locations only. Unfortunately individual franchisees may choose not to participate. Fortunately, some franchisee's participate even if the corporate company does not. Call ahead if you're unsure about anything.